Let’s talk about bags! How many do you own and what is your favorite? I personally have more with bags than with shoes. The Sleazy Jane from O My Bag is a new favorite that I just ordered. 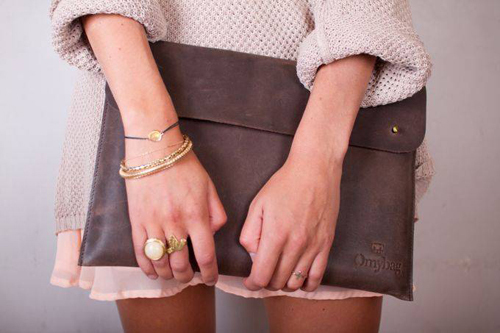 O My Bag is a Dutch bag label set up by Paulien Wesselink. The bags are hand made from eco-friendly leather in a Fair Trade atelier in India. What I like about the bags is that they are classy but with a cheeky twist. O My Bag has an online shop (world-wide shipping) but for those living in The Netherlands it is good to know that there is a pop-up show in Amsterdam selling their gorgeous bags (which is open until 31st December). Also, OMB is organising a give-away which you can enter through noon (CET) on Monday, 24 December. You can find the details here. Personally, I would not say no to the black bag with the chain strap.